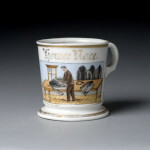 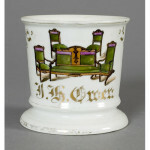 This is one of the broadest categories of Occupationals and is something that probably isn’t a mainstream way to describe mugs, but these mugs all tend to show a craftsman producing some time of item. 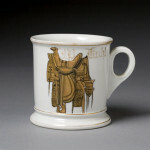 From a quick glance they are pretty similar in terms of composition, but the number of trades represented is huge and rather than create a category that might only have 1 or 2 mugs, I’ve put them all here. 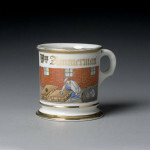 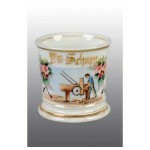 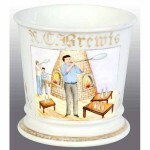 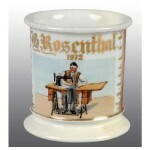 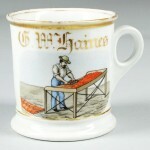 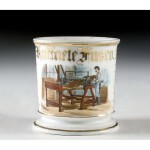 These mugs typically show a man at work making some type of item, but sometimes only an image of the finished product is shown. 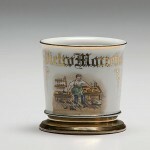 So for a furniture maker you might see one mug with a man working in his shop and another with the finished furniture shown only. 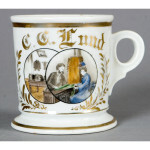 In general, my preference is the “man-in-action” scene, but all of these mugs are interesting and valuable. 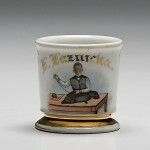 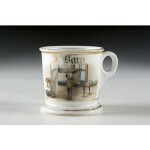 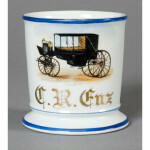 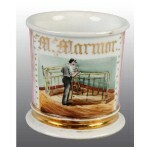 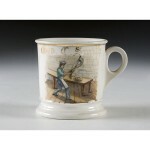 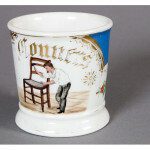 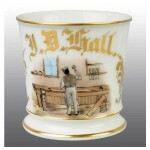 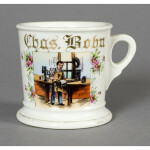 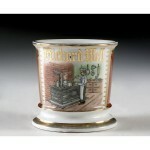 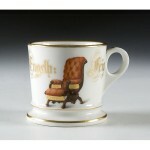 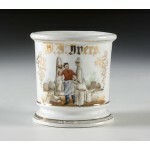 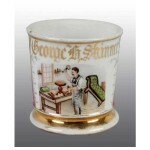 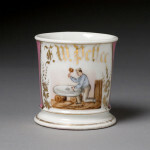 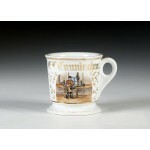 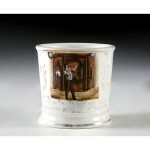 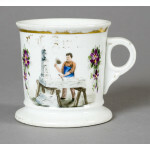 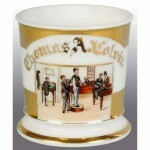 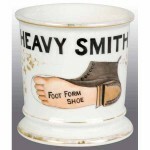 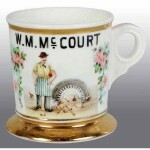 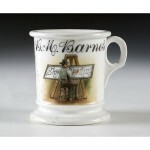 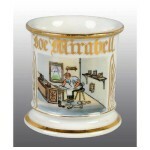 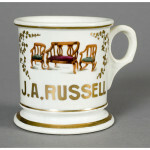 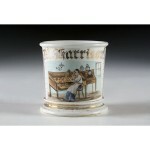 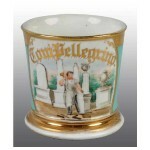 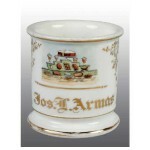 Some collectors really will try to only collect mugs that show the man actually working, while others are not as picky. 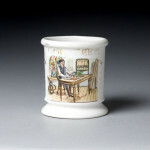 What I refer to here as Crafter Mugs are part of what some collectors would classify as “Inside” Occupationals that show people who work indoors, as opposed to “Outside” Occupationals. 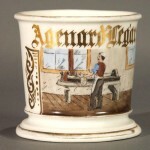 I usually divide mugs into Crafters or Laborers (people shown making something, or people shown doing physical labor) but there are other jobs left out by this classification like many white-collar professions (doctors, lawyers, accountants, dentists, etc). 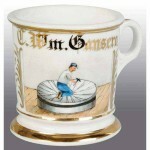 Everyone has their own system, I just try to explain mine here so you’ll know where on the site to look.